Hunters are explorers by nature. Just imagine the joy in exploring more than 2400 exhibits over four full days at the National Shooting Sports Foundation’s Shooting Hunting and Outdoor Trade Show! A few more of the best new products I found for hunters and hunting applications at SHOT 2019 follow, in this Part 2 of 2 report. You can read Part 1 here. Eberlestock has long been known for their innovative, versatile and durable packs, and for good reason. 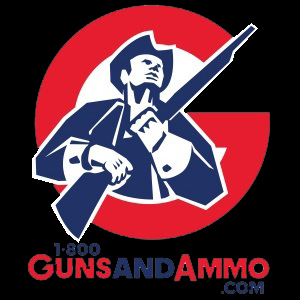 They are quick to remind us however, that when they started making packs they were known as a gunstock company. 2019 marks the official launch of Eberlestock Performance Apparel, previewed in this blog space back in October. Fifteen years in the making, their always-busy SHOT Show booth this year was dominated by the new technical clothing line. Always striving to deliver the best, technology and features built into the first 9 garments in the line (with more to come) rival the top clothing brands in the outdoor industry. Fabrics are breathable yet waterproof with 4-way stretch for a wide range of motion – and take it from me they perform as advertised, with remarkable comfort. Current items with MSRP’s listed include: Cache Peak Jacket ($189.00), Lost River Jacket ($269.00), Trinity Peak Jacket ($429.00), Afterburner Pants ($169.00), Bennett Mountain Vest ($129.00), Diamond Peak Vest ($189.00), Bruneau SPF Hoody ($129.00), and AirBase top ($79.00) and bottom ($69.00). Available in two solid (Dry Earth & Phantom Grey) and two “real world” camo patterns (Skye & Mountain). Also on display were additions to the interchangeable Eberlestock MODular System (EMOD), which allows mating of frames, packs and accessories with buckles, zippers and Hookup kits for an unparalleled level of customization. One of my all-time EMOD favorites, the F1 Mainframe pack platform is now available in a “Tall” version that is 3-1/2 inches taller than the original (MSRP = $229.00). Their G2 Gunslinger, one of the most popular all-around tactical packs, has been “modernized” with features that hunters should find appealing. These include a new M-style lightweight frame that folds flat, laser-cut MOLLE panels and internal changes that lighten and “lean-out” the pack. The new G2 Gunslinger II is available in 5 color options (MSRP = $349.00). Also on display was the new A4DB – an ultralight rifle dry bag with Crown Cover for added protection (MSRP = $159.00). Eberlestock representatives Mark (left) and Tanner (right) wearing the new Performance Apparel in solid colors. Beretta introduced several new hunting shotguns and new shotgun finishes at SHOT this year. Expanding their A400 semiautomatic line with intent to “meet the needs of virtually any shotgun hunter,” new models on display included the A400 Upland, A400 Lite Max 5, and A400 Xtreme Plus, as well as a new A400 Xcel Sporting Black Edition. Touted as “the next step in the evolution of the world’s softest shooting waterfowl shotgun,” the new A400 Xtreme Plus was thoroughly field tested and reviewed in this blog space back in November last year. New A400 Extreme Plus in Realtree Max-5 camo. The new A400 Upland is the first Beretta shotgun to feature an innovative wood stock with Kick-Off Plus technology, which reduces recoil up to 50%. The slim design, with exquisite game scene engraved on the nickel-plated receiver mates the latest technologies with that classic Beretta look and feel. The 6.7-pound Upland also features a newly designed pistol grip and forend for added comfort. And, field-stripping the new A400 Upland for cleaning is easy and quick. It breaks down into five components without any tools, and reassembly is a snap. Other features include fiber optic sight and select walnut stock with Xtra Grain Finish. MSRP: $1800.00. Beretta also released new camo patterns for the A400 Xtreme Plus and the A300 Outlander shotguns. These models are now available in striking Wraith white, Kryptek, and Realtree Timber. Beretta representative Erik Stern shows the new A400 Upland model. Display of the stunning new Beretta SL3 premium hunting shotguns. It’s always interesting while cruising the aisles at SHOT to find something you’ve never seen before – new, or not. Established in 2001 to manufacture shotgun ammunition for hunting, DDupleks non-toxic shotgun slugs have set new standards for terminal ballistic performance with patented technology, and are now sold in more than 30 countries. North American demand for high-performance slug ammunition prompted the Latvian company to establish subsidiary DDupleks-USA in Illinois as its sole importer. What immediately caught my eye were polymer encased steel slugs in their Broadhead line with 6 “splinters” protruding from the business end like flower petals. On impact with high-density tissue the splinters detach while the slug body – retaining 70-75% of its initial mass – penetrates deeply. The result is a wide, cone-shaped path of devastation through tissue and bone. Impacting softer tissue, the large frontal expansion of the slug causes a pneumatic shockwave inside the body, and in most cases will not fragment until the end of its travel path. Accuracy is outstanding, with 5 shots through a rifled barrel capable of printing one ragged hole at 50 yards! The Steelhead line features a polymer-encased solid steel slug without splinters. These are designed for hunting in “overgrown” areas where deflections are likely. When hitting an obstacle, DDupleks claims this self-stabilizing design – with leading surface in the form of “sharp edges” – will “provide reduced ricochet as the slug cuts through obstacles without deviation.” Wow! I’m looking forward to testing this claim soon. On the tactical/home defense side, the new Kaviar Slug delivers 1-ounce of soft lead pellets imbedded in clear plastic through a frangible design that reduces over-penetration and ricochet potential and insures reliable breakup on impact. All DDupleks loadings are suitable for smoothbore and rifled barrels, and safe for all chokes, as slugs ride on polymer bearing pads. 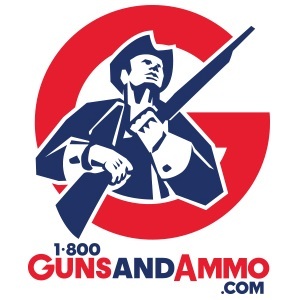 MSRP’s for 12-gauge loadings: Broadheads (Hexolit 32 = $12.49 and Dupo 28 = $10.99) and Steelheads (both Monolit 32 and 28 = $7.99) packaged 5 rounds per box, with street prices favorably lower. Kaviar price not yet established. DDupleks National Sales Manager Rick Payne with models of the Broadhead expanding steel slugs. One of the most interesting new products I found for hunters at SHOT 2019 was the Flashback Decoy from Duck Creek Decoy Works. Motion decoys unquestionably add “life” to the decoy spread, and they can be remarkably effective for luring ducks into range. Unfortunately, widespread use of these devices can cause “educated” ducks to flare, particularly late in the season. Touted to remain effective regardless of how many hunters are using them in the flyway, the feeding motion – often called “dabbling” – of these mallard drake decoys is so realistic they are claimed to be virtually indistinguishable from actively feeding live ducks! The Flashback name is derived from the black and white patches on the mallard drake’s back end, which cause a “strobe-like” flashing effect while feeding that is visible to airborne waterfowl at great distance. The motion of this decoy – which is caused by the mechanical head repetitively rotating 360-degrees, causing the tail to tip skyward – creates a realistic imitation of this “flash” as well as ripples in the water that add life to nearby static decoys in the spread. Duck Creek Decoy Works owner Tyler Baskfield with the new Flasback motion decoy. Remarkably, the Flashback is unaffected by vegetation. It requires at least 9 inches of water depth to express its full motion, but it can be used in surface-feeding mode in water only 4 inches deep. Made from durable ABS plastic, the decoy is built tough enough to function in even the harshest conditions. And, Flashback doesn’t require special treatment or handling like other motion decoys – just toss it in the decoy bag for easy transport. Exclusive Rockflock coating adds durability to the paint while eliminating shine and glare. A rechargeable 12-volt battery – similar to those used for “hotwire” animal fencing – is housed in a waterproof case. It provides about 30 hours of action, and serves to anchor the decoy as well. Introductory MSRP = $249.99, with battery, charger and 1-year warranty included. Flashback is made in the USA. Hunters looking to get a lot of bang for their buck when considering optics purchases can count on Athlon Optics to deliver. From inception, the business model for this company has allowed them to deliver high quality optics for hunters and recreational shooters at extremely competitive prices. They offer six full lines of binoculars, from the remarkably affordable Neos (MSRP’s from $89.00 to $149.00) to top-of-the-line Cronus models, available in 8.5x42mm (MSRP = $586.99), 10x42mm (MSRP = $599.99) and a 15x56mm (MSRP = $719.99) that is new for 2019. It’s no secret that I’m a big fan of big binoculars for hunting wide-open country in the West, and the Cronus 15x56mm warrants serious consideration. Features include Athlon’s E2Es lens system that provides a flat field of view, ED Glass for clear, sharp images and Enhanced Spectral Prism (ESP) dielectric coating for exceptional light transmission, and much more – all housed in a stylish, rugged, weight-saving magnesium alloy chassis. Athlon Optics President and designer Kevin Qu shows the new Cronus 10x50mm Rangefinding Binocular. I noted in Part 1 that several companies introduced new rangefinder/binocular units at SHOT Show this year, and Athlon did not disappoint. The new 10×50 Rangefinding Binocular has all the optical features of the Cronus line – excellent edge-to-edge clarity, bright, sharp images and true color representation – but it one-ups the competition with larger 50mm objective lenses for greater light gathering capability compared to the 42mm industry standard. And, in this “fake news” age, it’s refreshing that Athlon advertises ranging capability of 5 to 2000 yards on reflective targets, with a very realistic claim of 800 yards on deer. Props. Argon-purged for fog- and waterproofing, long eye relief with twist-up eye cups, and competitively priced at $1559.99 (MSRP). Ozone is a naturally occurring, colorless gas that is also a powerful oxidizing agent used commercially to neutralize nuisance odors, kill bacteria and even purify drinking water. I have previously discussed in this blog space the benefits that ozone offers in cleansing the clothing worn by hunters so it will enter the field scent-free. Dead Down Wind – a leader in providing specialized odor control products for hunters – showcased their new Dead Zone ozone generator at the big show this year, and it’s no surprise that this caught my attention! The unit can be used as a stand-alone device in any enclosed space – like a container, closet or vehicle – to treat hunter’s clothing and other scent-tainted gear. Dead Zone produces 500 milligrams of ozone per hour on the high-output setting, and 250 mg/hr. on low. Ultraviolet light is utilized to one-up the competition by providing a two-phase cleansing process. A Dewalt power tool-style 12-volt rechargeable battery provides 4-6 hours of run time. MSRP: $249.00. ARCUS Hunting representative Lucas Mashtare shows the new Dead Zone ozone generator from Dead Down Wind. Also on display was a large heavy-duty, weatherproof gear bag designed to house the Dead Zone generator at its midpoint for clothing/gear treatment. It features multiple, collapsible, mesh compartments for organization, and comes with a scent-free mat for hunters to stand on while dressing or disrobing. The premium quality gear bag alone has a suggested retail price of $129.00, while the gear bag with the Dead Zone generator has an MSRP of $299.00. Available in June 2019. Randolph Engineering is a family-owned and operated American eyewear company, manufacturing sunglasses and optical frames, as well as high-performance shooting glasses under the RE Ranger brand for more than 30 years. A few years back at SHOT while chatting with General Manager Sarah Waszkiewicz, I noted that although it was rare to find shooters at ranges without protective eyewear, hunters were often seen in the field with unprotected eyes. When a press release from the company announced a new eyeware collection for 2019 “designed for adventure,” I had to check it out. The new Adventure Collection was created to accommodate a wide range of outdoor activities, including hunting. According to President and CEO Peter Waszkiewicz: “Expanding our outstanding Ranger portfolio of professional shooting eyeware to include outdoor performance is part of our strategic growth plan for the brand.” Hallelujah! RE Ranger General Manager Sarah Waszkiewicz wearing the new Phantom 2.0 protective glasses. Two signature frames – the Marshall and the Phoenix – have been crafted from a lightweight and extremely durable resin, engineered to hold their shape with angled temples and an adjustable nose bridge to afford a comfortable fit. And, Clearsight performance lenses with special coatings provide Low Level Blue Light and HEV protection, while improving visual acuity and impact protection. Semi-rimless, wrap style Phoenix models offer maximum coverage and full-field vision. Available in two frame colors – dark gray/navy blue and smoke/light gray – and two interchangeable 3-lens kits. ClearVue Mirror Flash lenses are ideal for hunting, while Polarized lenses cut glare and are ideal for boating and fishing. MSRP = $275.00. Full-rim, wrap style Marshall models with fixed lenses and rubber frames offer superior coverage and an excellent visual field. Also available in two frame colors – desert sand/black and black/black. MSRP’s: $179.00 Polarized, and $149.00 non-Polarized. And, expanding on the highly popular Phantom, the new Phantom 2.0 is designed to stay in place during the most strenuous activity, with adjustable nose bridge, non-slip silicone nose pads, and sleek lens design. Interchangeable lenses are ballistic-tested for safety and offer 100% UVA/UVB protection. Comfortable for all-day wear with vents along the frame to increase air flow, Phantom 2.0 should be extremely popular with women hunters and shooters. MSRP: $159.00, includes 3-lens kit with choice of stylish colors. The new Adventure Collection, with interchangeable lens Phoenix models (center) and fixed lens Marshall models with rubber frames (bottom). New clothing for hunters was very much in evidence at this year’s SHOT show. For many years, women hunters made due with clothing designed for men. About a dozen years ago that began to change, as more and more women became involved in hunting and the hunting industry. Many of these newbies were not satisfied with the poor fitting, poor functioning, and less than stylish outfits that were available for their outdoors activities. Although this is no longer a problem today, hunting gear designed for women still does not get the attention it deserves, particularly in product reviews and blogs. Recognizing this media oversight, I accepted an invitation to attend a “sneak peak” and mini-fashion show of new fall 2019 lines presented by Girls with Guns Clothing (GWG). Started by best friends Jen O’Hara and Norissa Harman in a garage ten years ago, today GWG operates from a 5,000 sq. ft. headquarters/warehouse in Red Bluff, California. Their clothing – everyday outdoor lifestyle apparel for women – and accessories are sold across the U.S. and were recently introduced in South Africa. New lines launched at SHOT include: The Highland Upland Collection (classically quilted jacket, PU-coated field pant, breathable lightweight 1/4 zip shooting top, and all-across blaze orange bird vest), the Summit Insulated Collection (windproof bonded micro-fleece hooded camo jacket and bib featuring half-leg zippers and exclusive 2-way rear zipper for “outdoor relief”), and the Concealed Casual Collection (Secret Sadie Jacket, Tomboy Shirt and Defender Leggings, all with concealed carry features). Available in August, 2019. Girls with Guns Clothing co-founder Jen O’Hara details the new Summit Insulated Collection with co-founder Norissa Harman modeling.